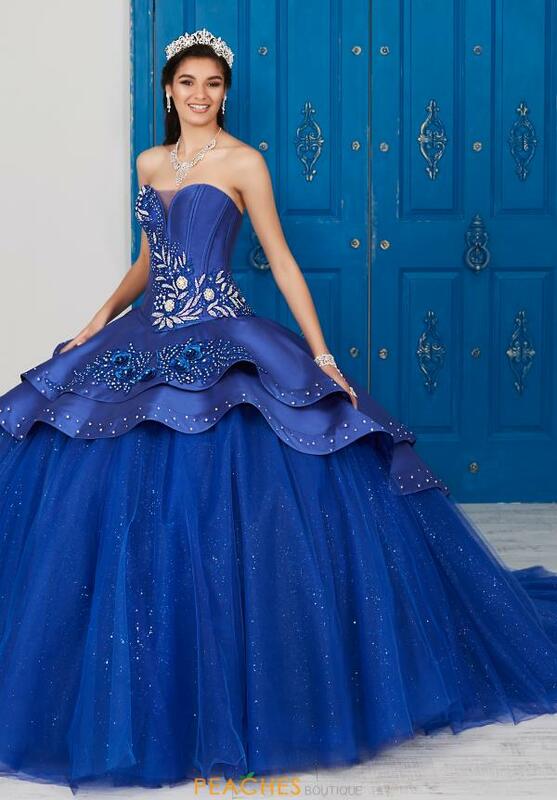 Be the center of attention in this stunning two piece Tiffany quinceanera ball gown 24038. This exquisite dress features a low sweetheart neckline with a sheer inset and sparkling bead work that creates an intricate design. A satin bodice leads into a corset back that is perfect to show off your figure. Finished off with a full tulle a line skirt.